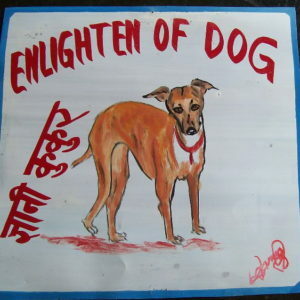 Sleek and fleet Greyhounds and Whippets abound in their folk art portraits from Nepal. 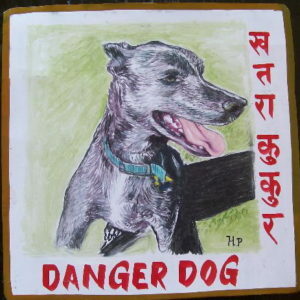 Cooper the Whippet by Sanjib Rana abounds (literally) with energy. An unusual light colored brindle, Cooper is a great addition to the Danger Dogs. 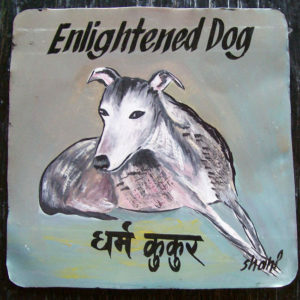 This naive portrait of a brindle greyhound is by Arjun Karki. 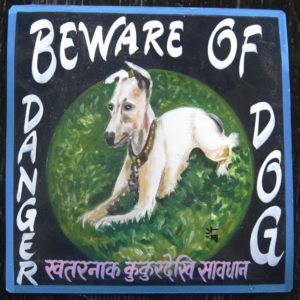 This painting is now available at The Dog Show in Brighton, England. Tracker the Greyhound. 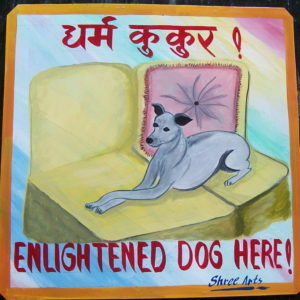 This cute Italian greyhound was hand painted on metal by Shree Llamachhain. 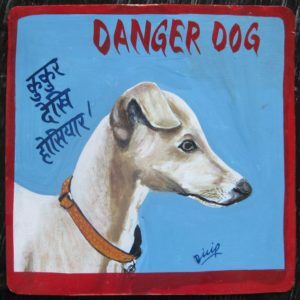 This portrait of an Italian Greyhound is by Dilip Niroj. 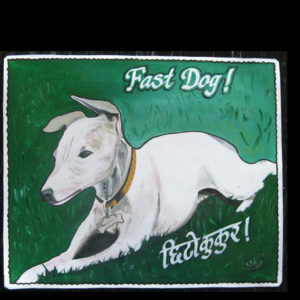 This is a painting of Dino, a young and handsome (and fast) greyhound. 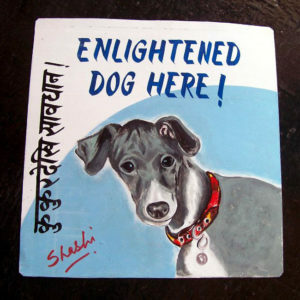 Another cute Italian Greyhound hand painted on metal by the Nepali artist Saachin. 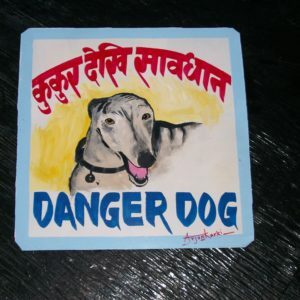 Dino the Ferrari Greyhound as painted by Sagar. Dino is young and handsome and Italian, of course. 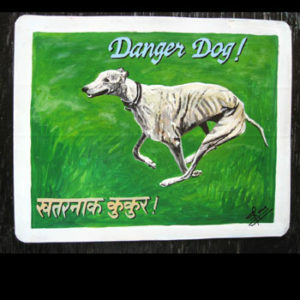 Again, we have the handsome and fast Dino, an Italian greyhound from Santa Monica, here painted by hand by Sufraj Khadka. 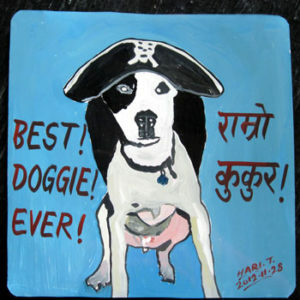 Hari Timesina hand painted this portrait of Mr. Itchy Stichy, the handsome Whippet Pit Bull mix that likes to dress as a Pirate Dog. 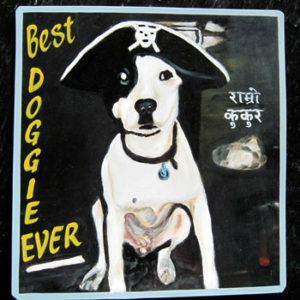 Sagar Bitsa hand painted this portrait of a Whippet/Pit Bull mixed breed dog dressed up as a pirate. The dog’s name is Mr. Itchy Stichy.